Hong Kong’s reputation as an international financial centre stretches back to the 1960s, and the city has acted as a lynchpin for the entire region ever since. Much of this can be credited to its relationship with mainland China: as Hong Kong is a Special Administrative Region of China, it remains the world’s biggest offshore RMB exchange centre, with 70 percent of the currency’s transaction value being based in the city. Hong Kong is also a world leader in IPOs and mergers and acquisitions activity. As of October 31, 2016, the number of companies listed on the Hong Kong stock exchange had reached 1,955 – more than double the number based on the mainland. Naturally, Hong Kong’s corporate persona is world famous, yet it is not the only identity this city has to boast. Thanks to Hong Kong being home to some of the world’s best restaurants, breathtaking rooftop bars and an expansive arts scene, the city has also made a name for itself as a cultural hub for the entire region. Retail is yet another facet of this fascinating city, as it is a major shopping destination, most famous for its bespoke tailors and night markets. This incredibly vibrant city draws in visitors from far and wide, while it also remains a favourite among expats from around the globe. Whether there for business or play, there is an unending stream of possibilities in this cosmopolitan paradise. With such a backdrop, it’s no wonder that Hong Kong is one of the globe’s most popular business destinations, and an increasingly significant port of call for MICE players. Though there is a plethora of venues to choose from in Hong Kong, there is one that stands out. 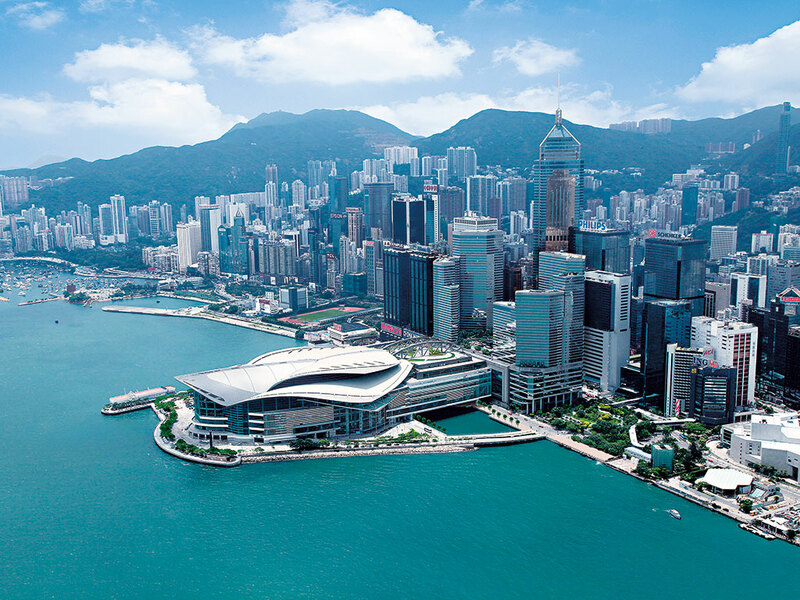 The Hong Kong Convention and Exhibition Centre (HKCEC) is situated on the magnificent Victoria Harbour, standing out as a beacon of contemporary style and architectural splendour amid the port’s frontier. With 306,000sq m of meeting and exhibition space, together with a formidable staff team of 950, HKCEC is a powerhouse as far as event venues go. Along with a wide choice of spaces and rooms to fit the needs of any occasion, HKCEC also has an impressive offering of restaurants for visitors to enjoy. Congress Plus, for example, offers international cuisine made with healthy and sustainable ingredients. When diners are not being entertained by award-winning chefs at live cooking stations, they have the incredible view of Victoria Harbour to enjoy. Adding to its long list of offerings, HKCEC also has various supporting services for its clients, affording them the opportunity to be as hands-on (or off) as they please. The venue’s five restaurants and two additional ‘event mode’ restaurants provide catering services, offering a variety of cuisines and styles to suit any taste. Housekeeping and security services are also available, while HKCEC’s in-house technical support provides the latest technology and expertise – an essential for any forward-thinking business hosting an event. With so much on offer in terms of support, it is easy to see why HKCEC has secured such a fine reputation both in the region and beyond. Within this stylish building are numerous possibilities to suit any type of function, making this venue one of the best the MICE industry has to offer worldwide.